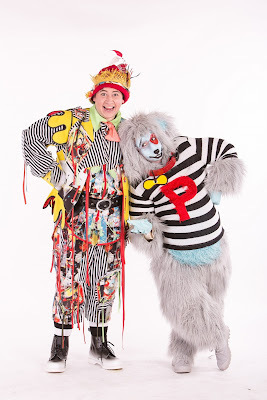 Panto favourites Arbuthnot and Puddles are back for a new adventure at The Customs House this February half term. They’re bringing some special friends along as one of the biggest panto baddies comes back to wreak havoc in Cooksonville in Puddles’ Adventure. The show sees the return of Fleshcreep – and only Arbuthnot (David John Hopper) and Puddles (Dale Jewitt) can save the day. They’ve caught wind of his sneaky plans and must now join forces with their friends from all over town to form the ultimate superhero crime-fighting team. But the duo, who appeared together for the first time in The Customs House’s most recent panto, The Lambton Worm, face a race against time to get to everyone before Fleshcreep hypnotises them to join his evil horde. 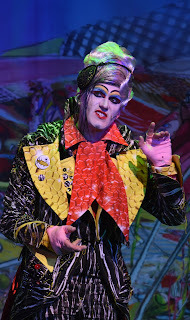 Steven Lee Hamilton, who appeared as The Brave and Bold Sir John in The Lambton Worm, reprises his role as Fleshcreep from the 2016/2017 panto at The Customs House, Jack and the Beanstalk. The team recruited to help defeat him also features much-loved characters from previous pantos, including Chorizo the Pig from Little Red Riding Hood and Dormouse from Alice in Wonderland. Chorizo will be repreised by Kylie Ann Ford, while Dormouse will be played by Eleanor Chaganis, who starred as Princess Aneesa in The Lambton Worm. Will the heroes succeed in their task, or will Fleshcreep brainwash all of Cooksonville and take over? Join Arbuthnot, Puddles, Chorizo and Dormouse in this toe-tapping, boogie-woogie adventure to find out! Puddles’ Adventure runs from Wednesday 14th to Friday 16th February 2018, with performances at 11am and 2pm. Tickets, priced £7.50 each, are available from the box office on (0191) 454 12334 or online at www.customshouse.co.uk.